Styled By Africa is an award winning online destination for people interested in exploring the best contemporary African fashion. 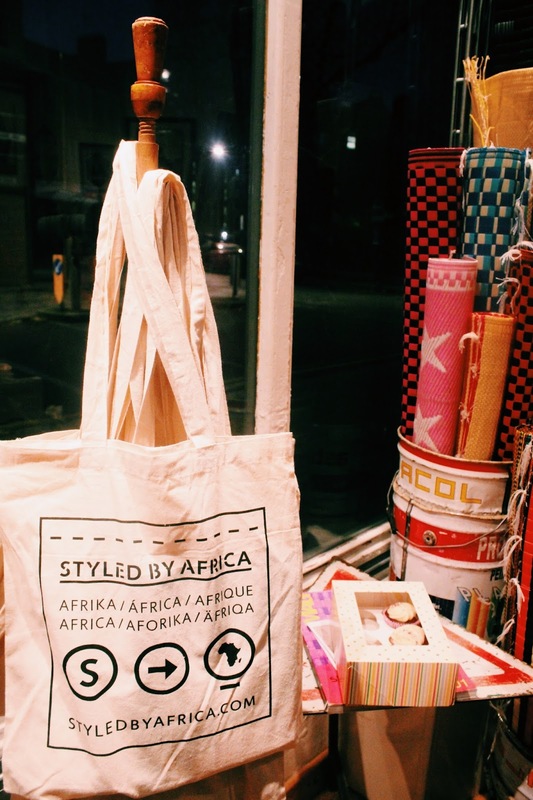 Through its online boutique SBA uses fashion as a tool for sustainable trade, selling products from all over the continent including Ethiopia, Zimbabwe, Tanzania, Kenya, South Africa and Ghana to customers around the world. 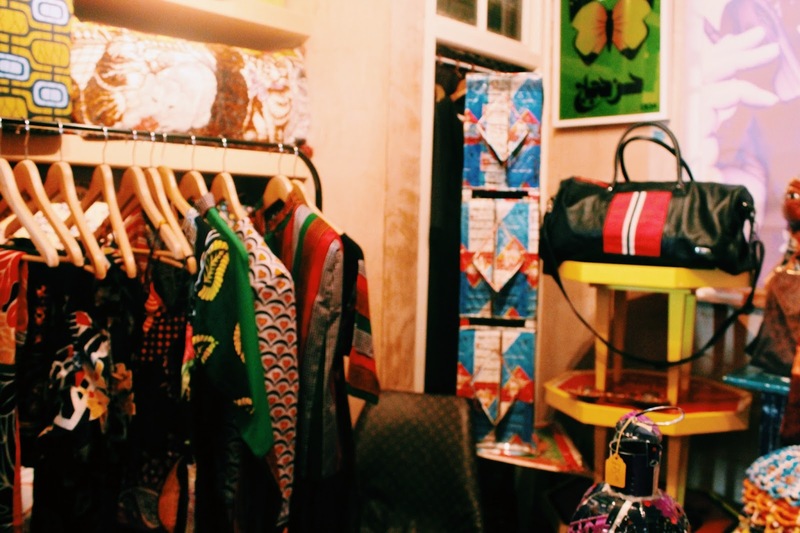 So Yesterday Styled By Africa has organised a pop up gift store at the Moroccan Artist Hassan Hajjaj's Shoreditch store where they have sold unique handmade 'Made in Africa' womenswear and accessories. There were selections of 2015 collections such as the ZAAF's SS 2015 collection. 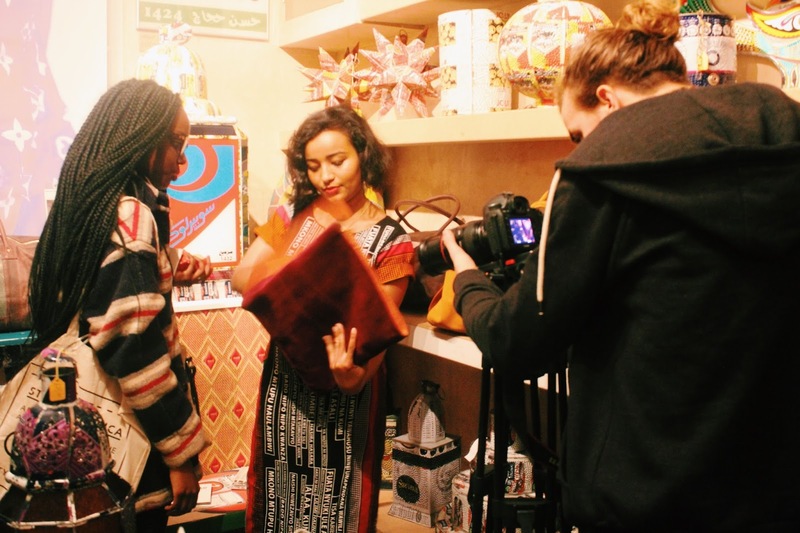 ZAAF which is a collection of handcrafted luxury leather handbags and accessories produced by artisans in Ethiopia. There were many more fabulous collections. It was an amazing event with a warm vibe. That is so cool, I really liked a lot of the pieces. Kate Spade handbag giveaway on the blog right now, come check it out. I love the patterns and colors. Check out the latest blog post and see how you can save a life while styling in amazing eyewear. Ah I'm so glad to have found your blog. It's so refreshing to find bloggers from accross the world. There are some beautiful designs in there! Love the woven bags and the prints. What a beautiful event. The white long top/shift dress with the black print is gorgeous. Thx for sharing those wonderful pictures with us. Lovely blog here btw! Would you like to follow each other on GFC? Please let me know on my blog so I can follow back. Thank you. 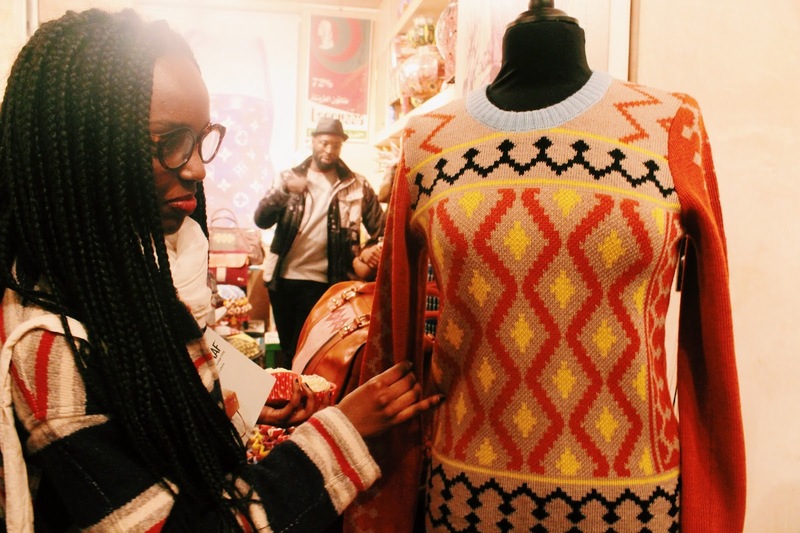 Awesome photos, I loved the vivid patterns on the items,especially the jumper. Wow there are a lot of beautiful things ! Everything is so beautiful...African inspired! !